Whenever anyone asks me for my favourite guitar albums* – as in, “which of your favourite records are the best and most thrilling when it comes to the guitar playing” – I usually have very little hesitation in singling out one album in particular, that is Richard and Linda Thompson’s valedictory 1982 masterpiece Shoot out the Lights: a record borne of painful and acrimonious personal circumstances, but that, of all that duo’s fantastic run of 1970s-80s albums, is generally regarded as their absolute finest. Shoot out the Lights is an album that I find myself returning to over and over again and that has lost little of its freshness and its ability to startle for me, even after a full decade or so of intense listening. 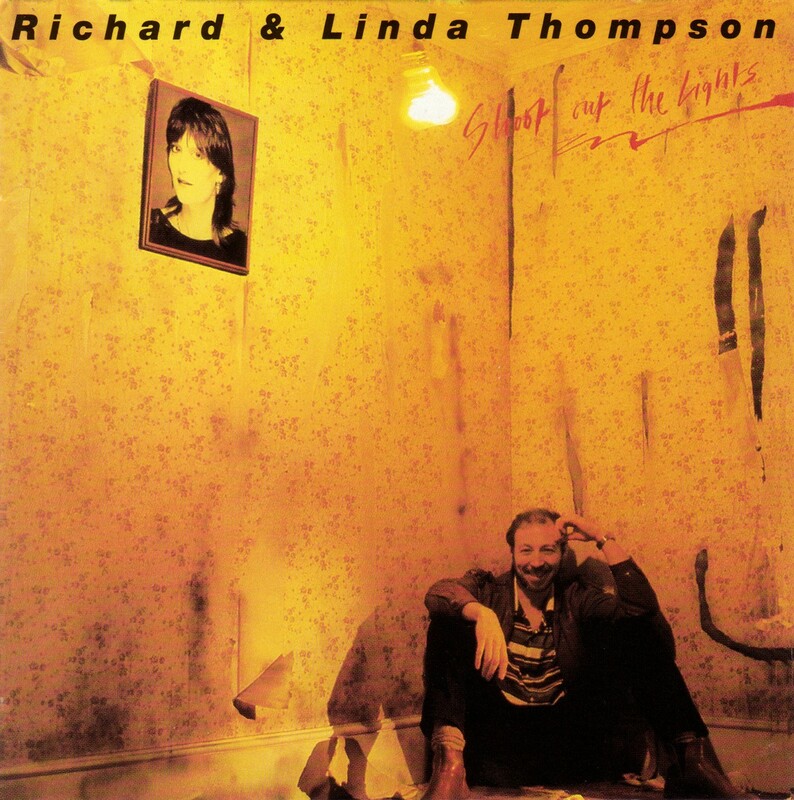 I single it out as a great guitar album because as brilliant, and in fact as sublime, as the songwriting, the lyrics and the singing are on Shoot out the Lights – and trust me both Linda and Richard are absolutely at the top of their game here – it is Richard Thompson’s guitar that ultimately ensures the record’s immortality. Thompson’s playing on Shoot out the Lights represents a true marriage of profound artistic inspiration with a remarkable instrumental virtuosity and technique that foreswears any hint of flashiness or trace of superfluity, but that instead is always supple and alive: the grace and fluidity of Thompson’s lines characterised by an extraordinary sense of precision and focus. Thomson’s guitar playing always lends a striking, palpable sensuality to the songs on this record: songs that trace the breakdown and disintegration of a marriage that was also a wildly successful artistic partnership, though in the end the ache seems to have been primarily a bodily/physico-emotional one. The guitar’s electric resonances hint closely at past intimacies, at feelings since buried over in a furious tide of acrimony and accusation – the instrument serves as an unforgettable, furiously effective complement to Linda’s yearning-but-distant vocals in songs like “Walking on a Wire” and Richard’s gruffly desperate turn on “Man in Need”: ultimately raising these songs to a level of emotional eloquence that is rare, even among the best of Thompson’s folkish/singer songwriter peers. Linda is dignified but broken throughout – weary beyond telling (“where’s the justice and where’s the sense?/when all the pain is on my side of the fence”) – her haunted vocals are a mixture of betrayal and utter resignation, while Richard’s vocals swing back and forth between bewilderment and rage (“Back Street Slide”). In the end, even though it’s the guitar that sets this album apart, the songwriting is just exceptional throughout – and if you’ve ever been curious as to why Richard Thompson is so often cited as one of our finest living songwriters then I really can’t think of a better place to start. *No-one’s ever actually asked me this, not yet anyway, but just humour me. Despite loving arty, experimental, psychedelic music, I never had a good relationship with post-punk. It’s complicated. It’s a genre that has everything I rationally like in music, and I’m still not a big-time fan. Do you remember that amazing girl (or guy) you met that time? That one, yeah, who was stunning, charming, brilliant, funny and even had the same habits and hobbies as you… but you two just couldn’t get along. Yeah, it’s a bit sad. It’s complicated. I know I just illustrated it with your kind of everyday lame comparison, but it illustrates well my relationship with the movement. With The Pop Group, one of the great early vanguardists within the genre, it wouldn’t be that different. After lots of ideas, experimentation and recording a single, on a nice day in 1979, there came Y, The Pop Group’s debut album. Listening to it is like having a good definition of post-punk: no clear definition, no rules. It’s got a rock approach made clear by some bass and drums lines and some guitar riffs, but there are too many elements of funk, electronic music and psychedelia, with spaces for folkier stuff, piano plays, changes in tempo and different ways of singing within the album or even in the same song. With that big primordial musical soup, it’s a bit hard for one to consider it a “true”, standard rock-n-roll album. But, hey! Who said this lack of rules is a downside? No one! It is exactly this adventurous way of making music what made post-punk pass the test of time with flying colors and The Pop Group one of the laureates of that class. Well, to make it brief: regardless of my relationship with the genre, Y is a great album. It’s well done, it’s well thought, it’s creative, it’s not boring, it’s definitely not cliché. It may be a little repetitive sometimes. Or even too arty, too noisy and too difficult to digest for the untrained ear. But don’t let it intimidate you: it’s worth your time. Maybe that girl (or guy) was for you and not for me. Anyway, it was a bit of a lie to say that I had never listened to Daft Punk before. Of course it was completely impossible to avoid “Get Lucky” in 2013, and deservedly so: it is a brilliant slice of disco and hearing it once is enough to remember it for years to come. I knew I should expect more of the same retro vibe throughout the record, and it was indeed there: lots of crisp funky bass and vibrant piano lines; an aural paradise. The songs themselves are rather more complex than I’d expected, many of them have several parts and sometimes they don’t fit together extremely well. “Touch” suffers a bit from that, but Paul Williams’ vocal helps giving it a sense of unity. On the other hand, “Giorgio by Moroder” does not seem as well-constructed to me, and listening to Moroder’s life story may be interesting once, but it gets boring after a while. The only part I’m not too fond of is in fact the vocals: apart from the featurings, they are Vocoderized all the way and it just kills the mood for me. However, that’s not the main downside of the album. Its main problem is that everything goes on for too long: my attention keeps drifting away within some songs and I have trouble listening to the whole thing in one continuous sitting. Most of the time, once “Get Lucky” is done I could just as well turn off the sound; especially since the following track opens with a bombasting violin intro that’s so ridiculously over-the-top that even Jeff Lynne would think twice before putting it on an ELO record. Actually, that’s too bad since the following following track, “Motherboard”, is a gorgeous instrumental featuring an instrument called “Crystal Baschet” that sounds marvellous. The entire record is peppered with ideas that are just as interesting, but it’s just not enough to keep my attention focused for 75 minutes. 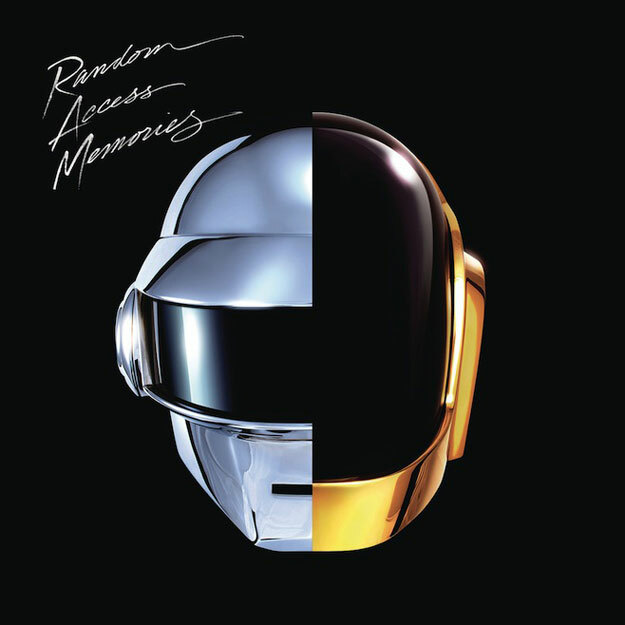 Still, overall Random Access Memories deserves a thumbs up, I think. The whole “funk revival” thing works quite well, apart from the robotic vocals. I don’t think I’ll put it on too often, but I won’t say no to one song from time to time. If I want to get my mojo working, I’ll still rather put on Sexuality by Sébastien Tellier; I think he channels better the Sleazy Seventies than Daft Punk do. 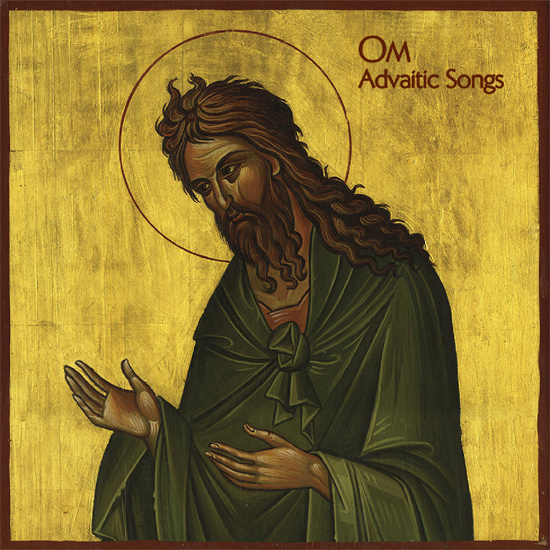 I admit I had never listened to Om before. However I feel it’s interesting that they touch upon genres like Psychedelic rock and ambient in connection with diverse Metal flavors – and there’s some spirituality in the air, too. Do they mix successfully the sacred sound with the doomy intensity of Metal? We will see. This album starts off with a severe prayer tone, a devotional female vocal that blends in with some bass heavy instrumentation, some apt soundtrack to a sequel for The Mummy movie. There are some rock guitar here and there, but the musical spine of this song is very simple and repetitive. For “State of non Return” the morose rhythm is a little more metallic since the start; metallic for the very nature of the drumming and then because of the Traditional Metal band taking control immediately. Fans, rest assured, there’s some power in here. Curious, but the vocals never take off, they follow the lazy monotony. This is the way you transmit a message of Doom, for sure. There is a solid intermezzo with violins in conjunction with a classic rock drum pattern that is totally enthralling. “Gethsemane” has a false start and then it begins anew with a droney keyboard pattern that persists in the background. The male vocal, once more doesn’t stand out, which is good. “Sinai” has some creative drumming but it ain’t of much interest. The closing theme is quite subtle, not really an epic exit in bombastic terms. Some religious chorus, this time a male voice and more violins.